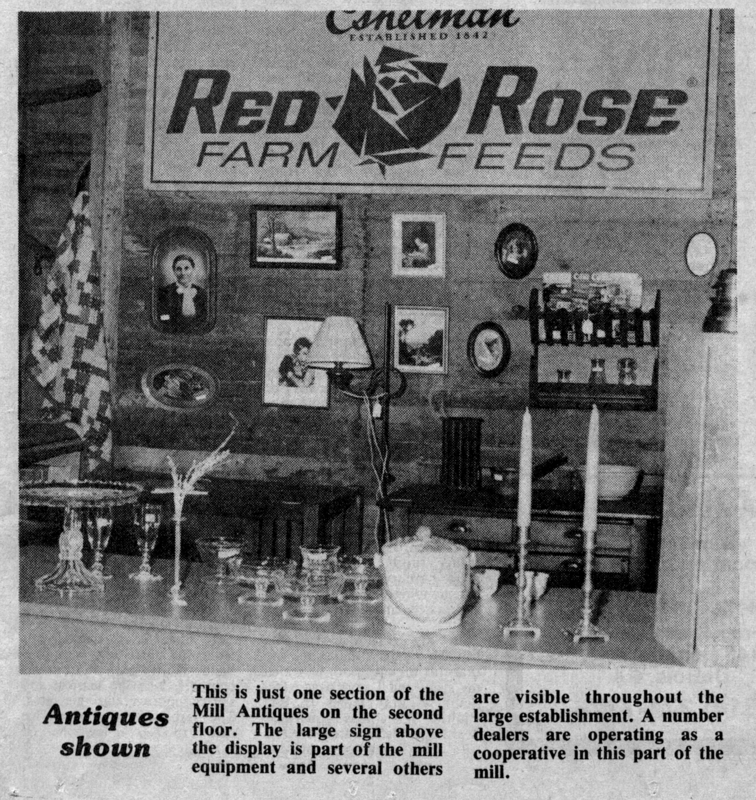 More pictures of the Mill from the 7/11/1989 article in the News Harald of Franklin. 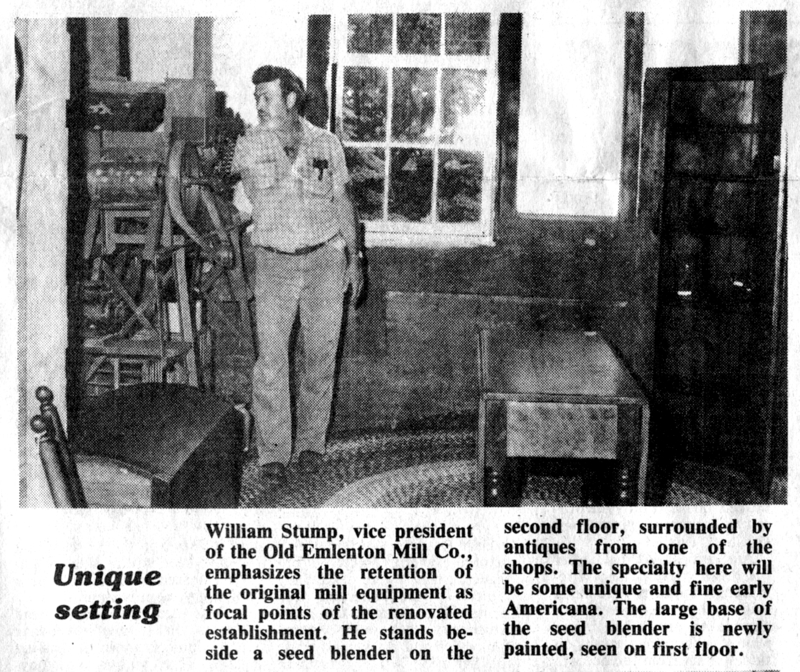 Mrs. Stump said in a 7/15/89 article that that the Mill was a prototype gas powered grist Mill. She said it took a year to clean it up and renovate the Mill. She also said that the Mill closed in 1978 and was about to be torn down in 1988 when they convinced Twig it could be reopened. The copper sign below was from the Miller’s house.